I shared a link to this article today on Facebook. “What You Believe About Homosexuality Doesn’t Matter” by Tyler Smither, a United Methodist Youth Pastor in Mississippi. It does not matter if you think homosexuality is a sin, or if you think it is simply another expression of human love. It doesn’t matter. Why doesn’t it matter? Because people are dying. Kids are literally killing themselves because they are so tired of being rejected and dehumanized that they feel their only option left is to end their life. So let me write it here. You are entitled to believe whatever you want for yourself. If you believe homosexuality is a choice, despite the overwhelming evidence that it is not, then you are free to choose not to be homosexual. You are free to not marry someone of the same gender. You are free to believe the Duck Dynasty guy is a great theologian. You are not entitled to lead people to despair and suicide by your judgment and intolerance. Just keep it to yourself. I have many Facebook friends, from many different chapters in my life, with many different theological and political perspectives. And I try to let them each hold their own thoughts and opinions. But today I told one of them, who objected to the above post, that I would not tolerate him being judgmental of my LGBTQ friends on my Facebook wall. I have no idea what he writes on his own wall, and I wouldn’t dream of censoring him on his own page. But on mine…I’m intolerant of his intolerance. And he called me on it. Once again, I’d suggest you read the article. People aren’t committing suicide because of the sin of breaking the speed limit or whatever. This has nothing to do with nice, although I’m trying to be nice to you, David. But take it somewhere else. To use your language, I’m loving you but hating your sin of being intolerant of my friends who are gay and lesbian. If you want to believe that stuff, that’s fine. But not on my page. So at least we’re equally guilty of the sin of intolerance, I guess. There’s lots I could unpack from the exchange. The idea that homosexuality is a choice, is a sin, etc. The idea that one could “love the sinner but hate the sin”. But I do want to address the intolerance piece. As he seems to define it, I’m intolerant of him because I won’t let him post hateful and mean comments about my gay and lesbian friends on my facebook page. The consequences of my intolerance of him are….let me think about this for a minute….that he can’t post mean comments on my page. He can still hold his beliefs and say what he wants on his page. He can still marry the woman he loves. He can still hold a job or buy a home without fear of discrimination because of his gender identity or sexual preference. He can receive tax benefits and survivor benefits because he’s married to a woman. He can worship in the church of his choice without fear of judgment. –gay, lesbian, and trans (LGBTQ) people are targeted for violence. –LGBTQ people face financial discrimination in states where they are not allowed to marry. 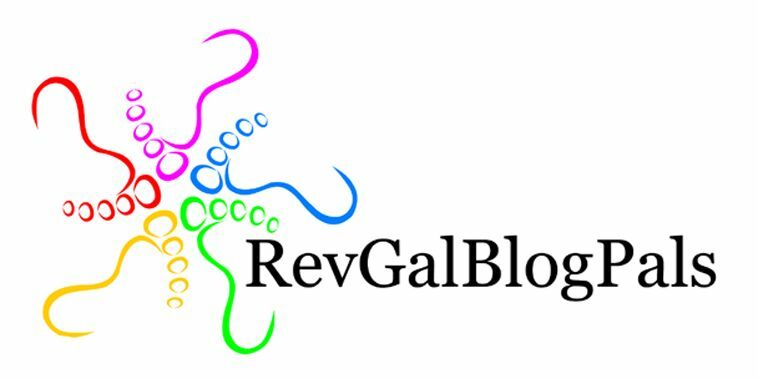 –LGBTQ people are often kicked out of their faith communities, told they are not welcome to worship, and are told destructive things in the name of God. –LGBTQ people, especially teens, are far more likely to be suicidal. Here is the report if you’d like to read it yourself. “Suicide Risk and Prevention for Lesbian, Gay, Bisexual, and Transgender Youth”. The list could go on, I’m sure. I’ve never watched Duck Dynasty and don’t really care about what a duck-whatever-he-sells-mogul says to GQ, but I will not tolerate the intolerance (and racism, for that matter) he spouted in that article. Children are dying. I choose not to support Chik Fil A, Hobby Lobby, and Barilla Pasta. 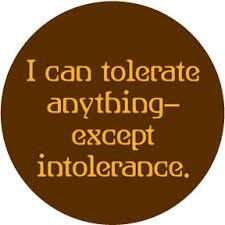 I will no longer tolerate their intolerance. I know plenty of people still choose to shop there, so the consequences of my intolerance will not harm those companies as their intolerance harms others. It has happened more than once on my Facebook page where I have had to say “okay, we’re done here. Comments closed“. It doesn’t always work, because, of course people can write what they want. And I’m accused of intolerance of other ideas when I do that. But it seems to me that screaming at each other in a Facebook comment is not a helpful means of dialogue. Nobody’s heart or mind is changed on Facebook. I’ve been asked why I don’t block or ‘unfriend’ my friends who tend to start the fires. Maybe I should. (And if that’s how you have chosen to deal with it in social media, I’m not judging you for choosing sanity.) But I know and love many of those people. I’ve known many of them for a long time. I’m related to a few. I don’t agree with them on much, it seems. But cutting their voices out of my life would seem to be intolerant. I have no idea what eternal judgment looks like or means. But were Jesus to walk in to my home today, I’m sure he’d have some things to say–about how my family has too much while others have little, about how I’ve walked past hungry and homeless people because I was in a hurry to get to my next thing, about how I spend too much of my time on myself and not enough of it making a difference for others….the list is long. But everything I know about God–through the study and prayerful reading of Scripture, through the incarnational experience of God in my own life–suggests I should keep on welcoming LGBTQ people into the full participation of the life of faith, and that I should keep on working for their safety and flourishing in the world as much as I do for every other beloved child of God. And I know people will continue to see the world differently than I do and will continue to experience God differently than I do. And as long as they can do that without leading people to despair and suicide, I will support them in their difference. But when their words become harmful, you can call me intolerant. I’m okay with that. December 21, 2013 in Add the Words, Division, Idaho Legislature, inclusion of GLBT in the Presbyterian Church, marriage equality, Reflection. Can We Meet in the Middle? Well said Marci. Preach on sista. Good for you. I don’t usually like Jen Hatmaker but I like what she said about the Duck Dynasty thing. Love is the point here. You said that in your FB responses, too. Thank you, Marci. As a United Methodist pastor committed to changing his denomination’s cruel and inhumane positions regarding LGBT persons, I thank you. Thanks, everyone. Thankful for the gift of your voices. Well stated. I think I judge myself more for what I tolerate than for judging what I find intolerable. I guess we all would do better to stand up in our own spaces and kneel down in others. Thanks so much Marci. The world needs more straight allies like you!